I high-tailed it to New York City for a whirlwind work trip at the start of 2018. 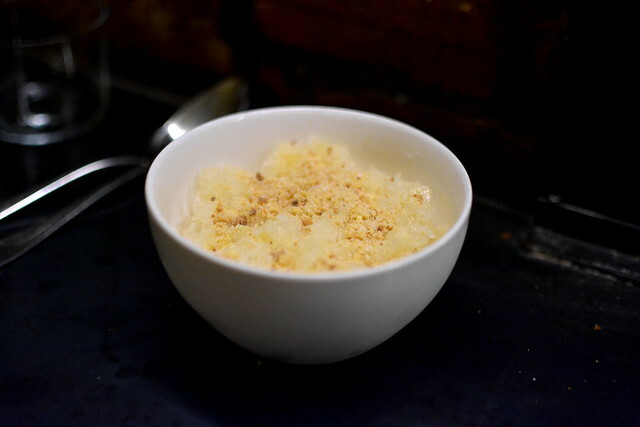 In under 48 hours, I grabbed drinks with an old friend, peeped a new-to-me Brooklyn bakery, had a fancy dinner with my brother and sister-in-law, produced a short documentary, and enjoyed a splendid late-night feast at Wildair. I can’t say I caught much shuteye during this jaunt, but I guess that’s fitting for a visit to the city that never sleeps. As soon as the plane landed on J.F.K. soil, my colleague Lisa and I headed to our hotel, dropped off our bags, and headed to chefs Jeremiah Stone and Fabian von Hauske’s Wildair for dinner. 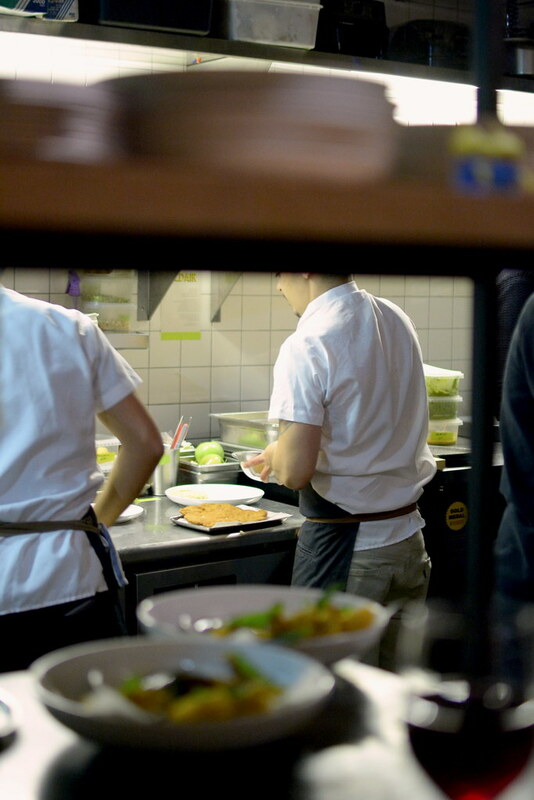 The wine bar’s low-key vibe had us feeling like we fit right in—two seats peering into the kitchen, please. 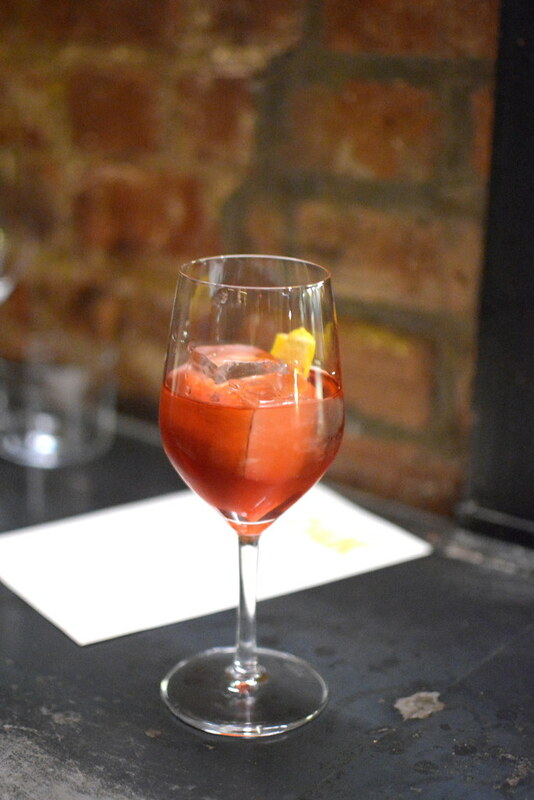 I was in the mood for an alcohol-forward cocktail rather than a glass of wine this evening, and a negroni ($14) sounded perfect. The one served here, made with Vago Espadin mezcal, was strong and perfectly smooth. 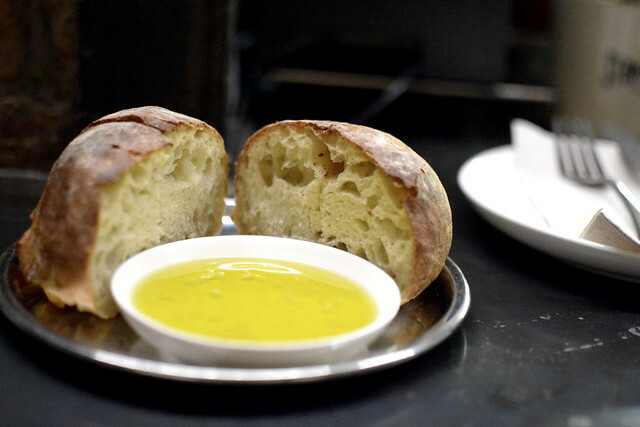 Warm bread served with salted olive oil ($4) was the first bite to arrive on the scene. 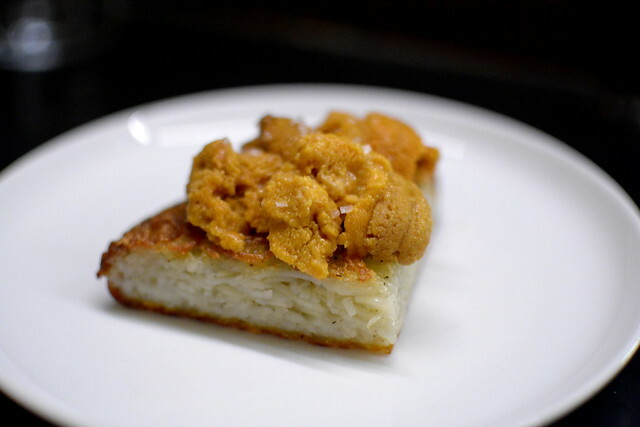 We tore into the dense, terrifically crisped sourdough with abandon. 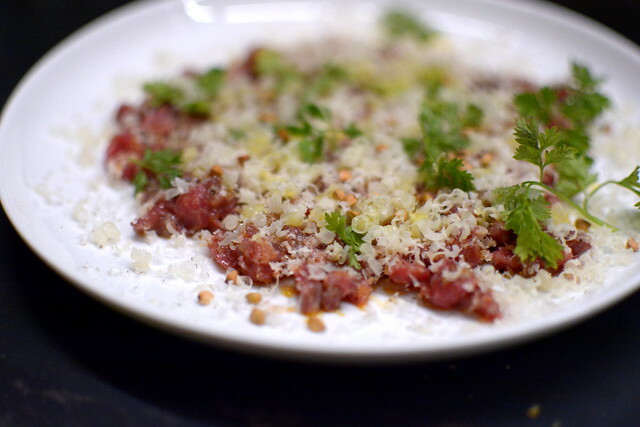 …and a tremendously delicious beef tartare topped with toasted buckwheat, smoked cheddar, fresh horseradish, and brazil nuts ($17). 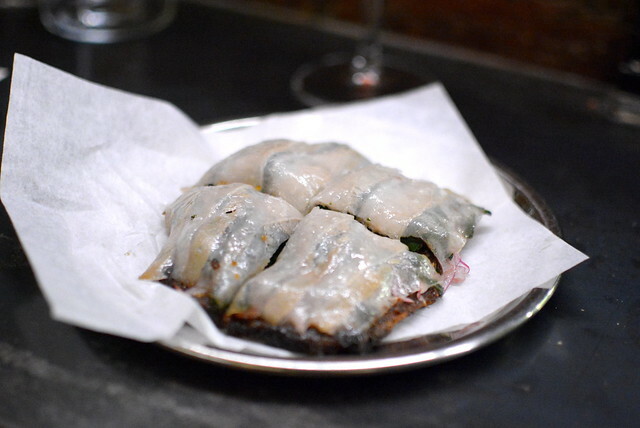 Is it too early to declare this dish one of the year’s best? 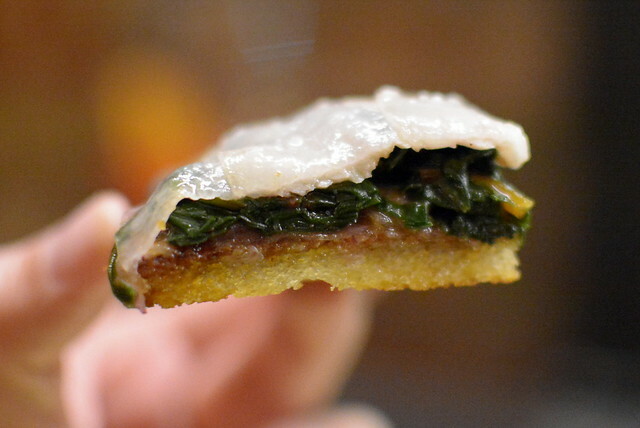 An open-faced “sandwich” consisting of tête de cochon (headcheese), ‘nduja, and Swiss chard ($18) on toast delighted us with its layers of bold, spicy, luscious flavors. I mean, look at this glorious cross-section. 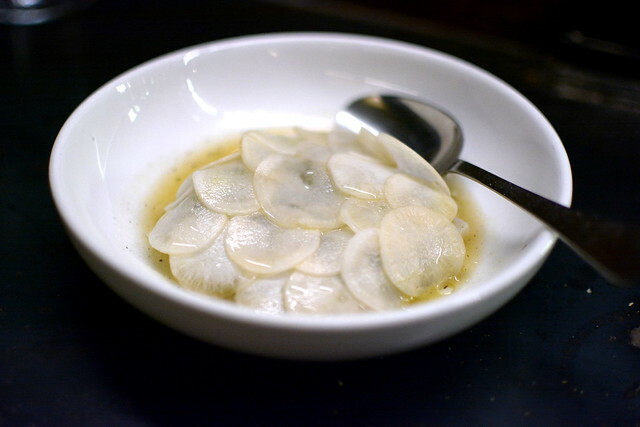 We also adored the pommes darphin, a pan-fried potato cake of sorts topped with sea urchin from Maine and sea salt ($23). The unusual pairing took us aback and had us hankering for more. 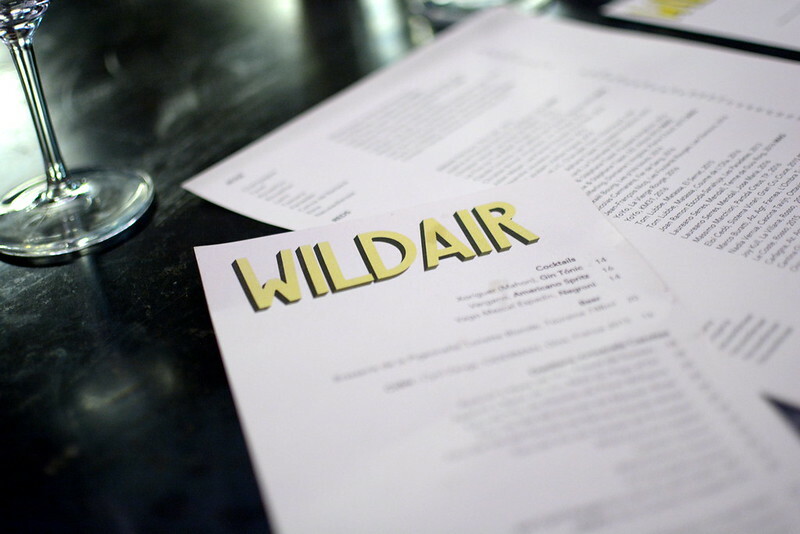 Dinner at Wildair provided the warmest of welcomes to New York City.